Like the career criminal James Hogue, Brian MacKinnon of Scotland tried to recapture lost opportunities by impersonating a high school student. He just wasn’t terribly good at it. From boyhood, Brian wanted to be a doctor. And at the age of 18 he was on his way, leaving Bearsden Academy in East Dunbartonshire to enroll in the medical course at Glasgow University. The year was 1980. MacKinnon claims he became very ill with mono and coxsackie his first winter at university. Fatigued, he fell behind in his studies and failed all his major exams the following spring. He also claims Dean Edward McGirr kindly offered him a second chance, but McGirr wasn’t dean until 1992. At any rate, neither his health nor his grades showed any improvement the following term. MacKinnon was expelled. In 1986 he began working toward a science degree, in the hopes of successfully re-applying for med school. Those hopes were smacked down when he failed an important chemistry exam. He continued to study, living with his mother and terminally ill father in a Bearsden council flat. By 1993, 30-year-old MacKinnon despaired of ever getting back into med school by conventional means. His own account of his troubles reads like something out of Dickens; illness, poor circumstances, horribly unfair professors. He had been banished most cruelly from the halls of learning, without recourse. So it was only fair that he forge some transcripts and re-enroll at Bearsden Academy as a 17-year-old boy. While MacKinnon’s tale brims with the sadness of the dejected scholar, the details of his fraud show the distinct mark of the Hollywood-obsessed fantasist. He chose the name “Brandon Lee”, and made Brandon’s late father a professor of zoology, his mother an opera singer. Fortunately for MacKinnon, no one at Bearsden checked his background too carefully; his references included an English zoologist and a Canadian schoolteacher named Marsha Hunt – both fictitious. If his Canadian accent lacked authenticity, no one noticed. Unlike James Hogue, MacKinnon made serious mistakes. First of all, he didn’t really look like a teenager. His classmates quickly, and aptly, nicknamed him “Thirtysomething“. Secondly, he took the risk of enrolling at the very same school he attended in the ’70s, where many of the same teachers were still employed. Lucky for him, he hadn’t been a conspicuous presence back then, and no one recognized him. On one occasion, MacKinnon slipped up by commenting that he could recall the day Elvis died. Pretty odd for a kid born in 1977. The other students looked askance at him but said nothing. His mother, May, knew Brian had returned to school. She just didn’t know it was high school. MacKinnon didn’t take the wallflower route. He captured the lead in the school’s production of South Pacific, worked on the school magazine, and made a lot of friends. His life as the son of a traveling opera singer probably didn’t hurt; even late headmaster Norman McLeod presumed Brandon had a “cosmopolitan background”, which accounted for his mature confidence and good manners. All in all, he was a model student. Brandon Lee graduated from Bearsden in the spring of 1994 with straight As and an acceptance to the medical course at Dundee University. If anyone found it odd that his jet-setting mother attended neither his stage premiere nor his graduation, they politely said nothing to him. The ruse had succeeded. The first half of his freshman year at Glasgow University was equally successful, aside from a family illness that forced him to leave school in December. He was set to return in the fall of ’95. Jubilant, Brandon arranged to take a summer holiday to Tenerife with three female school chums. That was his fatal mistake. One of the girls caught a glimpse of MacKinnon’s real passport, and a call was made to the school. May MacKinnon turned on the TV one day to learn that her 32-year-old son had posed as a teenager for two years, directly under her nose. Rather pitifully, MacKinnon insisted he would make a good doctor. In 2002, he was reported to be living in his car. In 2007, Stanford officials discovered that a pretty 18-year-old named Azia Kim had been living in a Stanford dorm and studying biology even though she was not (and had never been, and probably never will be) a Stanford student. At the start of the first semester of ’06, Kim told Kimball Hall residents Jenssy Rojina and Missy Penna that she was desperately in need of housing due to some mix-up, and Rojina offered to let her crash in their room until it was straightened out. Rojina and Kim became friends and even traveled to San Francisco together on winter break. At the start of second semester, Kim sought out a new roomie at another dorm, Okada. She told Amy Zhou that she didn’t like her old roommate. Zhou spent most nights with her boyfriend, so she had no clue that Kim had to crawl through their window night after night because she didn’t have access to the building. This might have gone on longer if Kim hadn’t told a resident advisor she lived in another dorm, Otero. The subject came up at an RA meeting, sparking an investigation. The whole point of Kim’s ruse is rather murky, as she didn’t speak to the press after being caught. She apparently didn’t attend any classes, and she had never actually applied to the university. She did, however, con her way into Reserve Officers’ Training Corps (ROTC) courses by pretending to be enrolled at another school, Santa Clara University. Kim graduated from Troy High School in Fullerton. She reportedly told friends she planned to attend a community college and transfer to Berkeley, but never enrolled anywhere. Instead, she announced at Christmas break that she had gotten into Stanford. Kim’s parents and sister. evidently believed this, too. Kim considered herself a devout Christian and was regarded as a sweet, studious girl. Her only known bad habits were, you know, breaking into dorm rooms and joining a rigorous military program under false pretenses. So I’ll give her the benefit of the doubt, and tentatively conclude that she is not hardened-criminal material. Maybe she even got into a good school by the front door, and put those impeccable study habits to use. Of course, it was quite embarrassing for Stanford to have an imposter actually living on-campus for a full 8 months, and many students were spooked (Zhou had a chain installed on her window after Kim was “evicted”). But that embarrassment and unease mushroomed when another young Asian woman was found to be living at Stanford. Perhaps due to the Azia Kim incident, students and staff were becoming more observant on campus and within a week of Kim’s ousting a second intruder, thirtysomething Elizabeth Okazaki, was rooted out. For at least three years, she had been posing as a grad student in physics, hanging around the lab and sometimes claiming to be an assistant to famed string theorist Leonard Susskind. Not only had Susskind never heard of Ms. Okazaki, but a student by that name had never been enrolled at Stanford. She did attend physics seminars, though, which indicates she could have been an aspiring physicist without the background needed to study at a major university. Students reported that she often puttered around the Varian Hall Physics Lab, making tea or simply hanging out. One university official wildly speculated she was looking for a “sugar daddy” in the physics lab, which would make about as much sense as searching for pearls in a lobster. In August 2008, a cheerleader failed to show up for classes at Ashwaubenon High School in Wisconsin, though her parents hadn’t called in sick for her. Truant officers went in search of the errant blonde 15-year-old and unexpectedly found the girl’s mother, Wendy Brown, in county lock-up. She had been charged with check fraud. 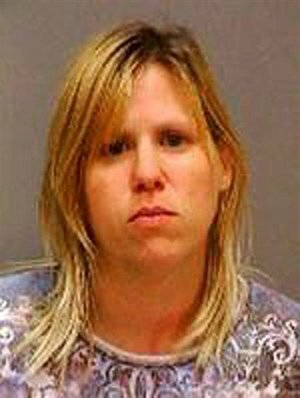 And she was about to be charged with a few other kinds of fraud, because 33-year-old Wendy had stolen her own daughter’s identity to enroll at Ashwaubenon High that summer. The girl was living with her grandmother in Nebraska at the time, oblivious to her mom’s weird scheme. Brown gave police a sob story about wanting to relive her teen years, but her long criminal record showed she was not just a sentimental fool. She was a career petty criminal who had carried out thefts, forgeries, and frauds for a number of years. Cheerleaders and teachers commented that the new girl had seemed very mature-looking, but hadn’t raised any red flags with her behaviour. One wonders how long a thirtysomething woman, only moderately fit, could have kept up with teen cheerleaders without giving herself away. Brown struck a deal with prosecutors, pleading guilty to identity theft “by reason of mental disease or defect”. She was committed to a mental health facility for three years. She wasn’t quite as criminally savvy as the former cheerleader who led a team bank robbers in Fullerton. What is it with these Fullerton girls, anyway? This entry was posted in Education, Fake Teens, Fraud, Hoaxes and tagged crime. Bookmark the permalink. There is no problem in Fake Degree now a days.